Looking for a firm foundation? Max Lucado shares with you all the different ways you can rely on God for hope and security in these 12 DVD sessions. This 12-session video Bible study will help you, your group, and your church stand on the definitive declarations of our mighty and loving God who governs the world according to his great and precious promises. 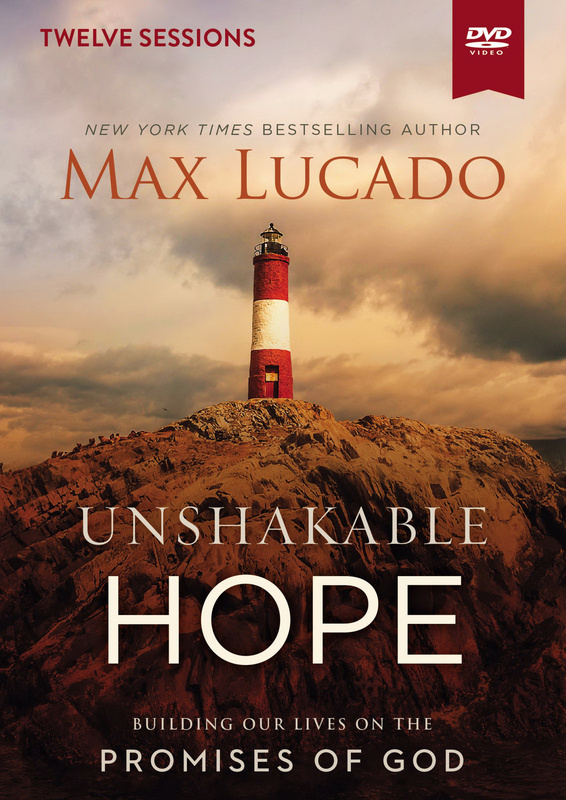 Unshakable Hope Video Study by Max Lucado was published by Thomas Nelson in September 2018 and is our 1180th best seller. The ISBN for Unshakable Hope Video Study is 9780310092117. Be the first to review Unshakable Hope Video Study! Got a question? No problem! Just click here to ask us about Unshakable Hope Video Study. How long is each video session? A:The total duration of this DVD is 2:33:52. The sessions range from 12-14 minutes in length. Thank you for using Q&A Forum.